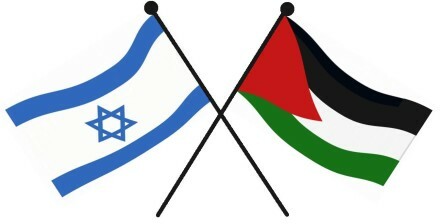 I am a strong supporter of Palestinian statehood. However complex the issues involved, it is a simple matter of justice that the Palestinian people should have their own homeland, one that lives in peace and security with its neighbour, Israel. I can understand, therefore, why MPs will be tempted to vote on Monday for the motion proposed by Grahame Morris, Jeremy Corbyn, and Caroline Lucas, which appears to propose just that. But, for all of us who believe in a two-state solution, we should apply a simple test: does supporting a motion which proposes a unilateral and pre-emptive recognition of a Palestinian state make the aspirations of the Palestinian people more or less likely to happen, and does it make a lasting peace more or less likely to achieve? I’m afraid, Monday’s motion – ‘That this House believes that the Government should recognise the state of Palestine alongside the state of Israel’ – fails both of those tests. History tells us that pre-emptive and unilateral moves are counterproductive. As we have seen on repeated occasions over the past decade – and again, tragically, this summer – Israel’s unilateral withdrawal from Gaza in 2005 has only led to more conflict and violence. By contrast, negotiations – like those at Camp David in 1978 which led to peace between Israel and Egypt, or those which brought about peace between Israel and Jordan in the 1990s – have proved much more durable. It is also important to recognise that Israeli governments have repeatedly stated their willingness to recognise an independent Palestine provided that this results in a permanent peace and an end to claims against Israel. Indeed, on numerous occasions, most recently in 2008, Israel has offered terms for statehood only for these to be rejected by the Palestinians. Even those who advocate unilateral and pre-emptive moves acknowledge that a long-term settlement to the conflict will require negotiations. But such moves pose a serious threat to such negotiations for two main reasons. First, a unilateral recognition of a Palestinian state may make negotiations less likely to occur as the Palestinian Authority will have less motivation to enter talks to begin with. Instead, it will have a wide range of alternative options to continue promoting the diplomatic and political isolation of Israel, including international legal forums. This legalistic, adversarial and zero-sum approach undermines the need for a mutual agreement. The reality, as those who are proposing Monday’s motion accept, is that the outstanding issues pertaining to the creation of a viable Palestinian state alongside, and at peace with, Israel can only be resolved at the negotiating table. Second, even if negotiations begin, a recognition of Palestinian statehood before talks start would make a negotiated Israeli-Palestinian resolution to the conflict more difficult. If the Palestinians have their maximal positions endorsed by the UK and other countries, it will make it harder for them to compromise during negotiations. Unilateralism also weakens the peace process by strengthening the position of hard-liners on both sides. We on the left should be standing by our comrades in the Israeli Labor party who, day in, day out, have to make the case against the hard right who argue that the Palestinians are not serious about peace and that Israel has no partner with whom to negotiate. Our sister party is urging us not to vote for a motion which will do nothing to help restart – and may well hinder – talks between Israel and the Palestinians. Before we vote, we should consider the impact of our actions on Israel’s domestic politics, and whether we aid the forces of peace of the forces of reaction. At the same time, recognising Palestinian statehood without negotiations could be a catalyst for violence and could enhance the position of Hamas at the expense of Palestinian moderates. Raising expectations on the Palestinian street of the establishment of a Palestinian state that, in practice, will not be fulfilled, is highly likely to lead to large-scale demonstrations and violence. As we have seen so often in the past, it is in such an environment which extremism thrives. Moderate voices in the Palestinian political arena – those who believe in a two-state solution – will be isolated, while Hamas – which does not accept Israel’s right to exist – will inevitably seize the opportunity to reassert its influence and fundamentalist agenda. Like people across Israel and Palestine, I desperately want to see negotiations begin and a two-state solution implemented. However good it may make some people feel supporting Monday’s motion, such unilateral and pre-emptive moves take us further from, not nearer, that goal.